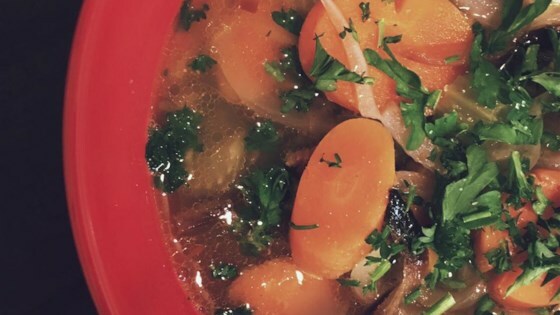 "This is a satisfying, very easy, and delicious vegetable soup to serve anytime of the year. Serve with saltine crackers and chunks of sharp cheese." Crumble ground beef into a stockpot over medium-high heat; cook and stir until beef is crumbly, evenly browned, and no longer pink, 7 to 10 minutes. Drain and discard any excess grease. This vegetable soup can be a staple meal in your recipe repertoire. I remember my mother making this very same soup when I was a kid, and I loved it then. Though all of her veggies were canned from the garden, this recipe is delicious! So good, and pretty low in carbs for those of us who are diabetic. Substantial enough to be a whole meal! Has become a favorite.